LONDON — Wayne Rooney's record-breaking England career ended with a first: relief not to score. 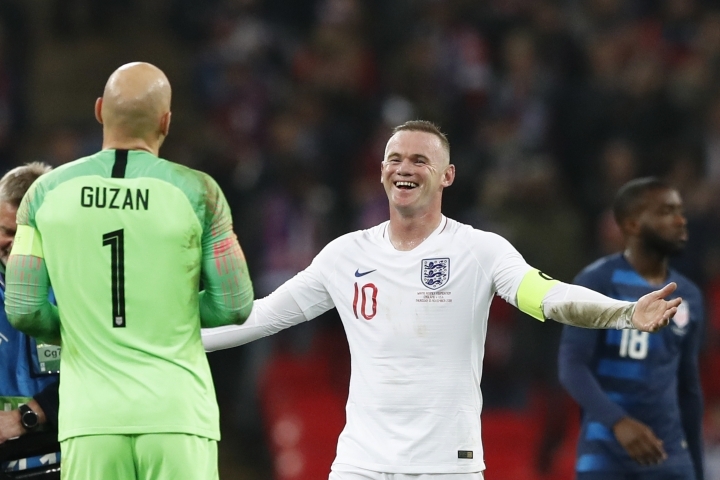 There was a wry smile from Rooney, whose England career ended with 53 goals. 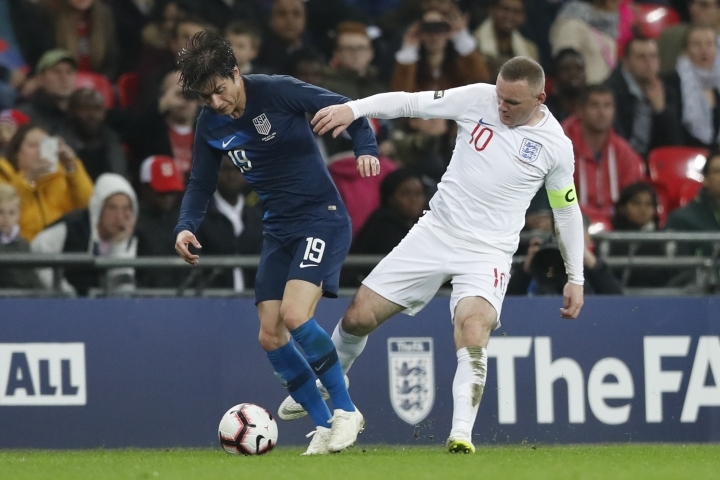 It didn't matter for the result because a new generation of players had already provided the offense that secured a 3-0 win in the friendly against the country Rooney now calls home. "Another yard it would have been in ... and it would have great," Rooney said. "But in some ways it's great because if I did score it would have opened another whole lot of debate whether that goal should count or not. "In some ways it's probably better it didn't go in," he said. Such was the debate stirred by England's most capped outfield player being recalled after two years off the team to have this ceremonial farewell, 15 years after his debut. 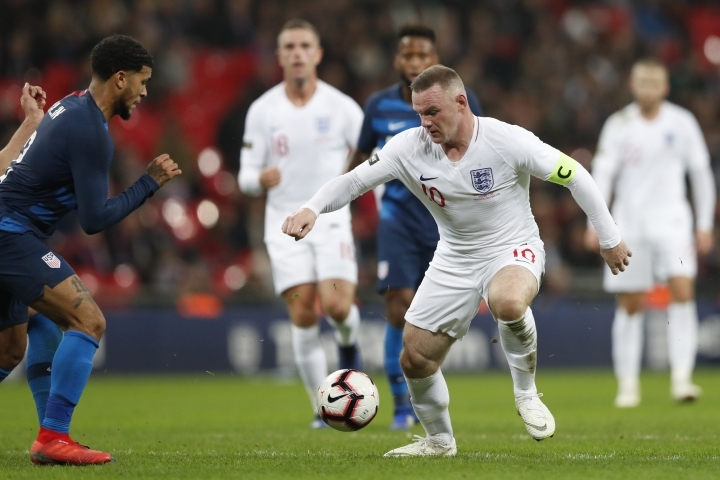 "The FA are celebrating players who have left their mark on international football for England — it never happened in the past, which it should have," said Rooney, a Premier League and Champions League title-winner with Manchester United. "It hasn't taken way form what Gareth and the players are trying to do," he said. "Hopefully in a few years' time some of the players will be getting a similar night for their achievements. It was a great touch for me." 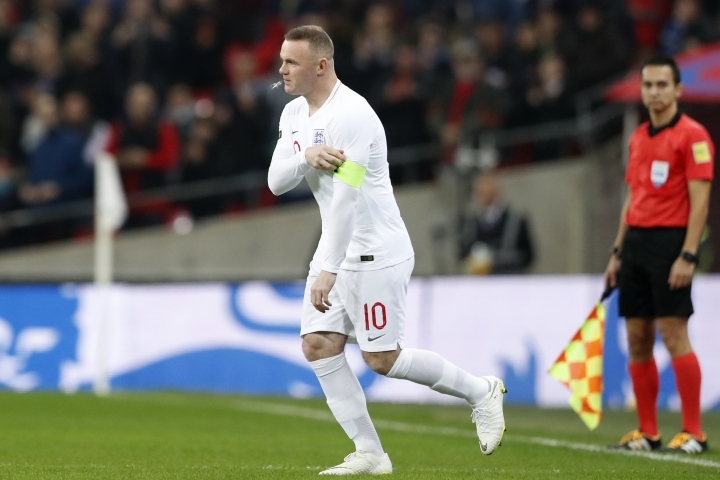 By the time Rooney entered the game as former Manchester United teammate Jesse Lingard's replacement in the 58th minute, England had done enough for the victory. Lingard and Trent Alexander-Arnold scored within 104 seconds of each other in the first half. 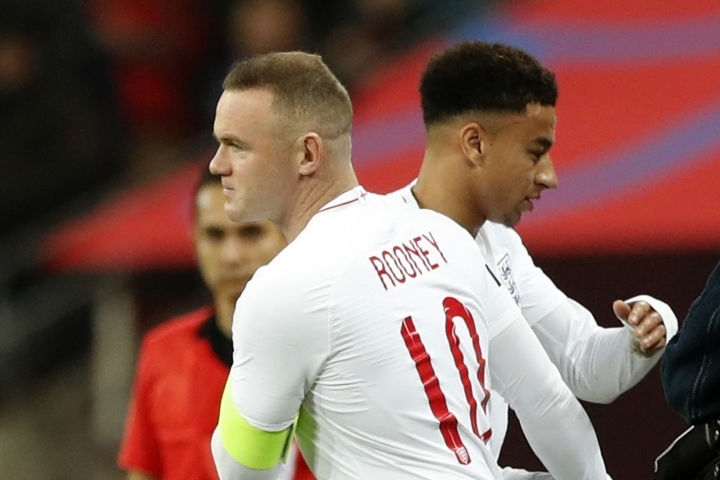 As England's record-scorer bid farewell, Alexander-Arnold was joined by striker Callum Wilson in getting their first goals for England. But this was Rooney's night. England proclaimed the night "return of the king," celebrating a player who thrilled so often in the England jersey but couldn't inspire the country to a first title since 1966. 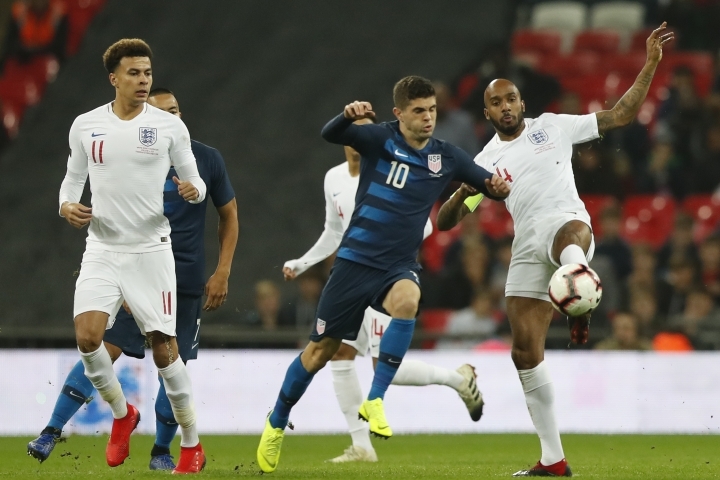 "He has been brilliant, the time he given to all of the players," England coach Gareth Southgate said. "He had some lovely touches, a couple of really exquisite throughballs and we were a yard to the left of Brad Guzan from a fairytale ending." The start to the night was memorable enough. In front of 68,155 fans, Rooney entered the field before the match accompanied with his four boys, carrying Cass, who was born in February. 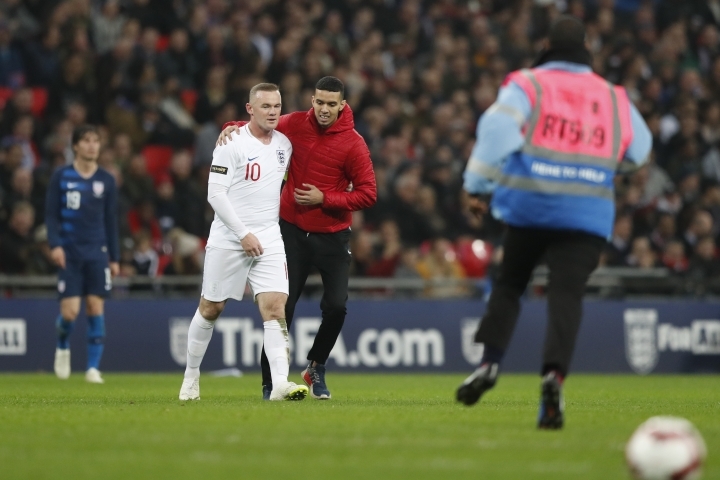 "It's great memories for when they are older looking back," Rooney said, before going into the dressing room to deliver a final speech as an England player. Southgate said he didn't want to rain on Rooney's parade by addressing concerns about the performance to the players. They'll have to listen to the news conference. "At times U.S. got through us too easily," Southgate said. "We were caught in transition and we were wide open. If we do that on Sunday we will lose." The stakes will be more meaningful Sunday in the next game at Wembley. 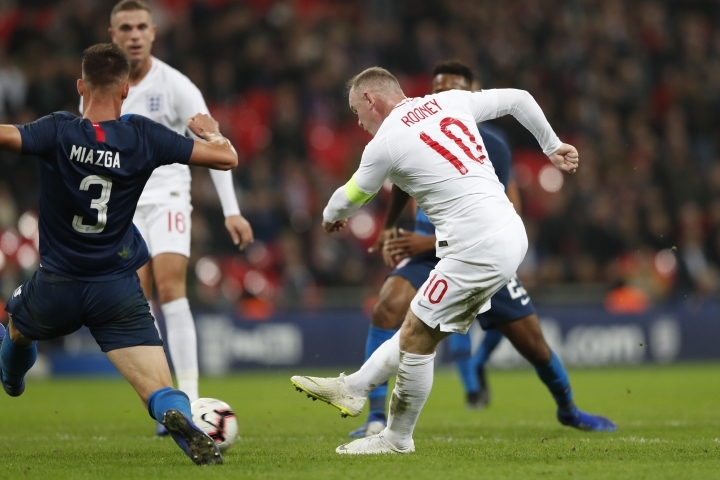 After leaving the field, England learned that Croatia beat Spain 3-2 in the UEFA Nations League ahead of its trip to London. England or Croatia has a chance to advance to the Final Four tournament if either can win the match. A draw would allow Spain to advance from league A4 to the finals of Europe's new national-team competition. "If we are going to be ruthless we have to do that right the way through the game," Southgate said. Rooney is optimistic. When England reached its first World Cup semifinal in 28 years in July, Rooney was a spectator from afar. "Seeing how they're working and how they're improving has been great for me," Rooney said.